A school is run by effective management. Unless there is one, it becomes troublesome to manage all the activities of a school. ERP is a software that can do all these things effectively and helps the school run smoothly. But before that let us check on what ERP is. ERP stands for Enterprises Resource Planning. It is a software that maintains a single system with which a plethora of services or activities can be managed effectively. 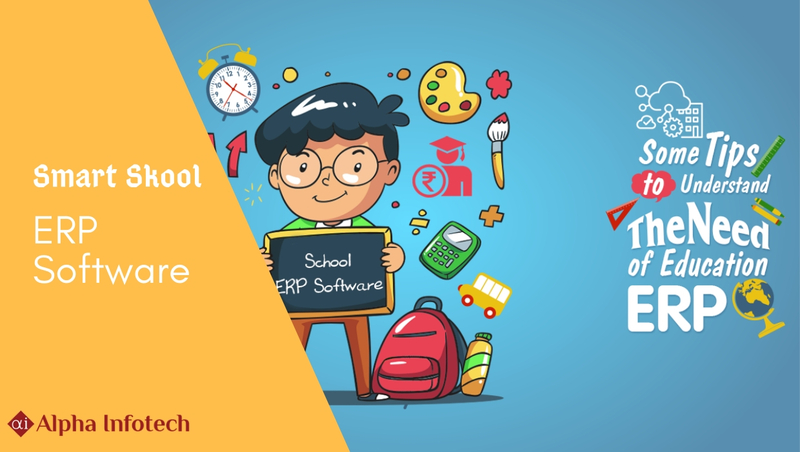 Be it financial matters or admission, school ERP system handles them without any failure. From managing the examination to maintaining data on attendance, there is nothing ERP cannot perform. No matter how vast the database of your school, ERP has the capability to maintain it perfectly. How ERP helps cannot be finished mentioning. There are a lot of activities that ERP can manage. First of all, ERP is responsible for managing the administration. From planning to execution, this school management software can take part in many ways. There are other aspects to maintaining a school. Like there should be proper data on the attendance of the students. There should be easily-available information on the fees deposited by the students. To track these things properly by humans is not possible sometimes. But ERP does all these things with 100% accuracy. Such is the power of ERP; it can replace human resources in the concerned fields. Yes. This is the basic thing and the most important part. ERP is far more productive than human hands. A lot of activities can be performed at the same time. Sometimes, in the midst of all kinds of data, it becomes problematic to arrive at a single decision or a single truth. ERP is the answer to that. Yes, operating on ERP is simple as there are no complex principles of Information Technology. Since it cuts on some of the human resources which would otherwise be required, ERP makes the whole thing cost-effective. There are other benefits to ERP that cannot be ignored. These facilities and benefits make ERP ideal for managing a perfect school information system. Every school if equipped with ERP can progress much and will have effective management. With an online facility for parents, they can also make interactions and express their concerns. So ERP is a very good package for a school should be made compulsory.